Have you been craving a great cup of espresso at home but don’t want to invest in an expensive machine? 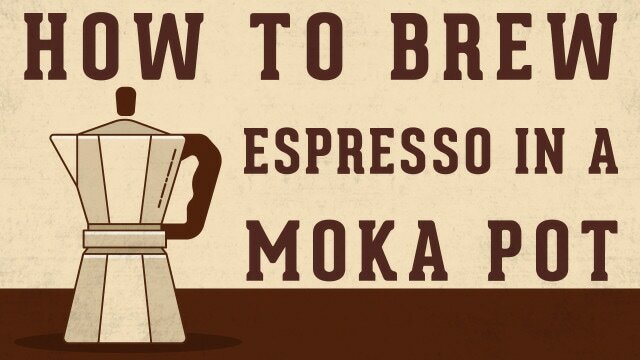 If you’re looking for an affordable, traditional way to make espresso, look no further than the Moka Pot. 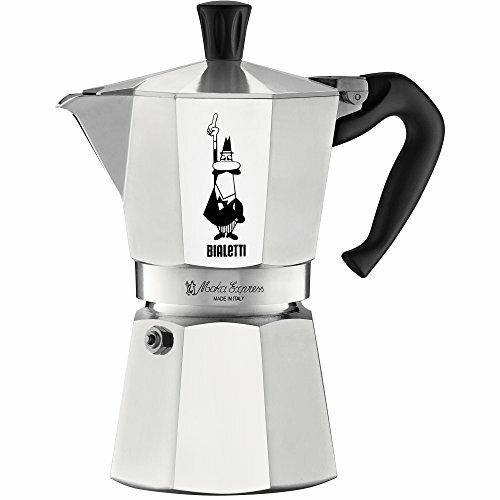 The Moka Pot combines old-world charm with the new-world need for espresso-based coffee drinks. While the Moka Pot won’t duplicate a shot of espresso exactly like you’d find at a coffee shop, it does a pretty good job of getting close. So no need to invest in an expensive espresso machine. Here’s how to make espresso in a Moka Pot without breaking the bank and right in the comfort of your own home. Making espresso in a Moka Pot is both elegant and efficient in its simplicity. The Moka Pot traces its origins back to Italy and functions with the simple sophistication you’d expect from the Europeans. Using steam pressure to force water through a strainer, the Moka Pot produces a shot of espresso-like coffee. The Moka Pot is filled with water in the bottom chamber and finely ground coffee is placed in a strainer just above the water. Once placed on heat, steam is created, forcing water through the strainer creating a strong shot of coffee. Fill the lower chamber with cold water just below the valve. Overfilling will water log the coffee and affect the flavor, so make sure you don’t use too much. Grind your beans to a fine consistency, until you have enough to fill the Moka Pot funnel with coffee. Again, you can use an Automatic Burr Grinder or have your coffee beans pre-ground at the store. Don’t use coffee that’s too finely ground as it will clog the equipment. Insert the funnel and fill it with ground coffee. Try not to overfill the strainer with coffee and do not tamp the coffee (that’ll create too much pressure in the Moka Pot). Remove any coffee grounds on the edge of the funnel. Tightly screw the upper part of the pot on to the base. When securing the pot, make sure you screw it on by holding the pot and not the handle as the pressure when tightening the pot could break the handle. Select a burner size that fits the bottom of the Moka Pot. For gas stovetop, make sure the flame is not larger than bottom of pot (you don’t want to flame to come around the sides). 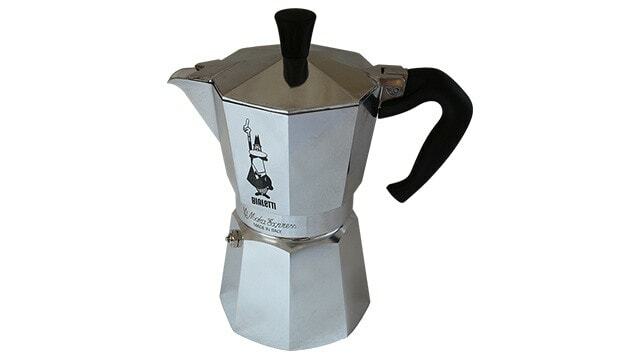 Place the Moka Pot on the stovetop until the water boils and coffee begins to come out of the center post. There will be a gurgling sound during this process. Take your time – in order to extract the full flavor of the espresso, you will want to heat it slowly. If the heat is too high, the coffee may taste burnt. When the top of the pot is full of coffee, remove from stove. Hazel brown foam appears just seconds before the coffee is completely done. Before pouring coffee, stir it in the upper chamber with a small spoon. Pour your coffee into a fancy cup and ta-da! Strong espresso-like coffee for your favorite espresso drink. For clean up, wash by hand with warm water and dry thoroughly with towel. Make sure all the parts are completely dry before putting it back together. To make a fancy espresso drink with your Moka Pot, heat up some milk in a stainless steel pitcher until it steams and froth it with a frothing wand. Pour the steamed milk and foam over your espresso and you’ve got yourself a latte! After you get the hang of the process, make sure you continue to test with different types of coffee until you find the perfect combination for your taste buds. The Moka Pot takes a little experimentation since it isn’t an automatic machine, but if you want to make a truly excellent cup of espresso yourself, the feeling the Moka Pot delivers makes the time and patience totally worth it. There’s nothing like enjoying a great cup of espresso that you made with your own two hands and the Moka Pot is just one of several easy ways to pull off a shot of espresso at home. 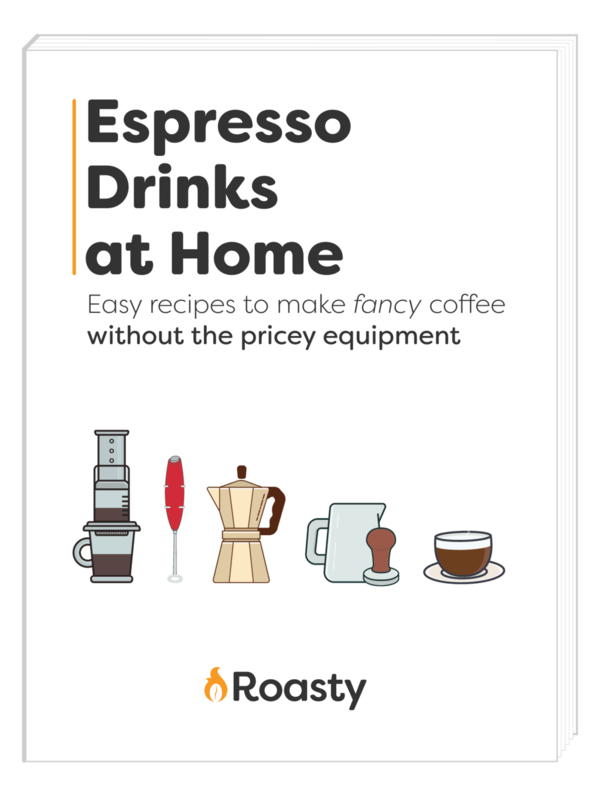 If you want to step up your espresso game without investing in an expensive machine, check out our guide to making espresso at home below. Are you truly committed to having the perfect cup of espresso to really impress-o your taste buds and guests alike? 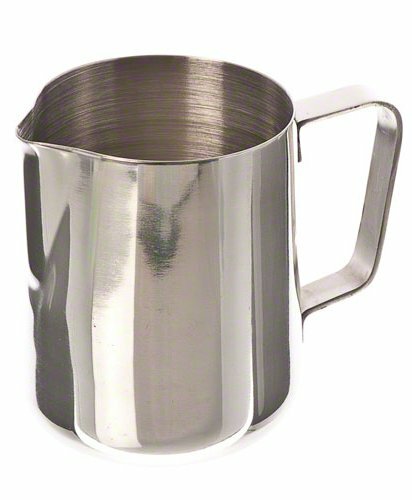 Then you are going to need the right cups to save the heat and flavor of your brew. Read our guide on the best espresso cups to find out which ones are the best for you.